We all love the beautiful scenarios but capturing the same from camera is a challenge. The moment of a perfect shot goes by fast as beginner photographers struggle with camera settings. After a while, their interest wanes and they are very dissatisfied with their results. This workshop helps you to master Photography and Post-Processing. It takes you inside the mind of a travel & landscape photographer. The program teaches you how to compose like a master story-teller, and then how to process those great images. 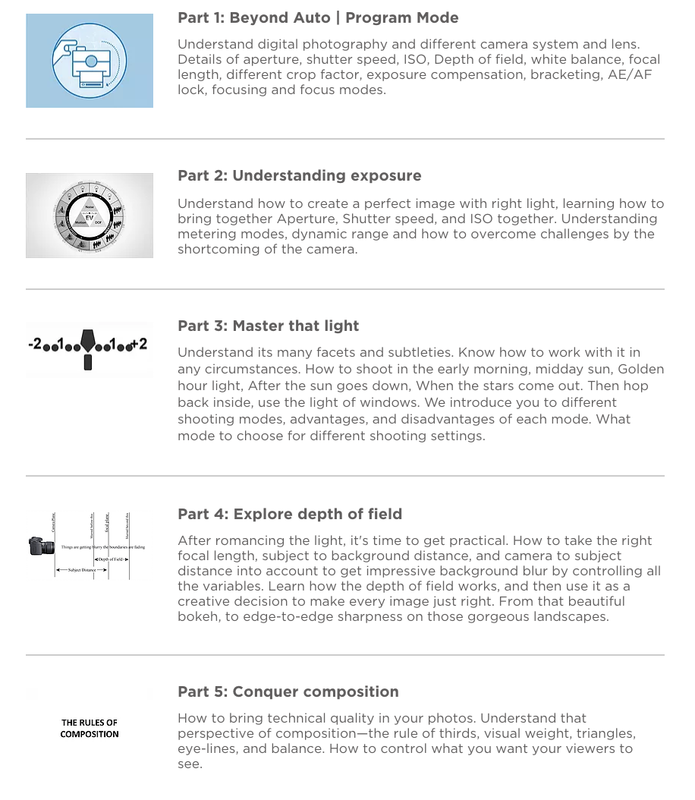 You will also understand how to overcome the challenges a photographer faces while shooting. We’ll take you through the topics in photography and build your knowledge step by step, completing your journey in with post-processing. This course is specifically designed to equip you with the comprehensive knowledge and skills that are essential to achieving your photographic goals. The course is geared towards aspiring professionals and passionate enthusiasts. Let our expert photography team start you on your craft like a pro. We will make sure you don’t leave our class without enhancing your photography! To conduct this workshop, we require at least 8 participants. The workshop can be rescheduled in case the requirement is not met. Full refund if cancellation is made 60 days before the event. 50% if cancelled between 30-60 days of the event. No refund if cancelled within 30 days of the event. I attended Advanced Post-Processing: Bangalore mentored by Chris Gomes, he is one of the best trainers I ever met in photoshop training, he explained all the concepts with the patient and answered all the questions without any hesitations, he loaded with full of knowledge in photography and photoshop. One day workshop is not enough to learn all his knowledge. Tons of thanks to GoodShotz team and Chris Gomes for organizing this program. 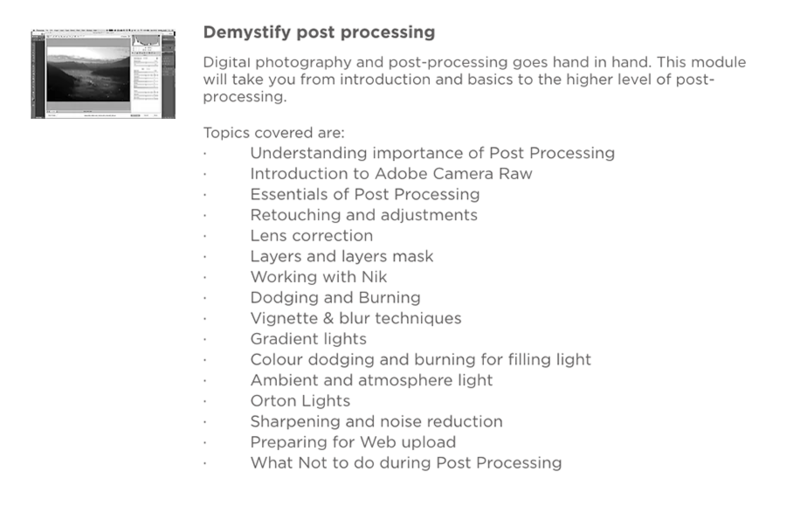 I was fortunate enough to grab a seat in the Online workshop on “Mastering Photography & Post-Processing” and I loved the way session was planned. The workshop covered various topics such as Aperture, ISO, Shutter speed and so on. The best part was GoodShotz team actually took control over a few participant’s desktop and helped them in processing the image better. They inspire, teach, motivate. There never was a moment when they stopped answering your most basic doubts even for the 100th time. Chris Sir,Surbhi mam’ worked relentlessly,patiently reviewing each participant, guiding them on field,correcting their flaws ,applauding their good work and then motivating them to do better. 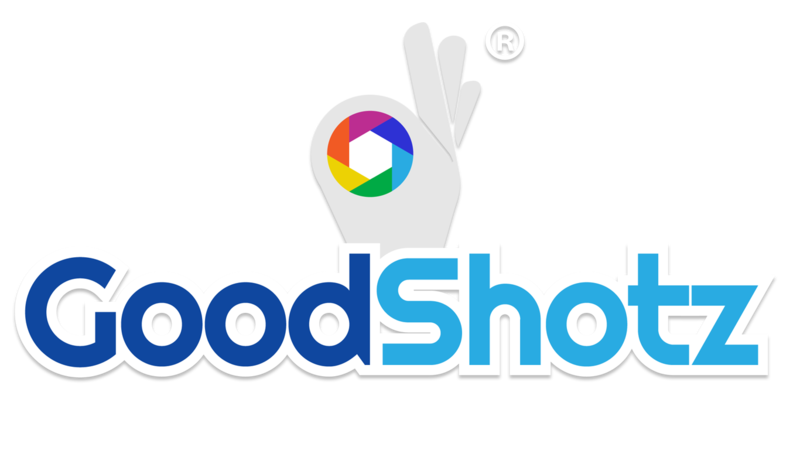 Goodshotz is the place to go if u want to learn photography. You can also subscribe to their I learn app and gain a lot. Thank you Surbhi Mam” and Chris Sir for being such awesome mentors.